The White House, Congress members, Federal agencies, and industry members will be participating in an expert panel on how government can effectively support IT modernization and cybersecurity efforts by advancing industry-supported standards, software quality measurement, and procurement requirements. The discussion will highlight FITARA and perspectives on what is next in the cyber category. To inquire about attending, please contact Tracie Berardi, CISQ program manager. Welcome address from Dr. Bill Curtis, Executive Director of the Consortium for IT Software Quality (CISQ), on how to reduce security and operational risk in government acquired systems. Government and industry are in the era of 9-digit glitches—IT breaches and outages whose damages exceed $100M. However, technical advances now enable detection of severe weaknesses in software-intensive systems. Dr. Curtis will review international standards produced by CISQ for analyzing the security and reliability of software, and how they can be inserted into acquisition policy and practices to reduce the operational and security risk of government systems. 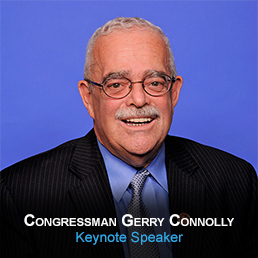 Keynote remarks from Congresssman Gerry Connolly, Chairman, Subcommittee on Government Operations, Committee on Oversight & Government Reform. Rep. Connolly co-sponsored the FITARA legislation and helps to lead IT modernization initiatives across government.